Born in Pakistan and but grew up in Canada, singer and songwriter Irfan Makki embodies the richness and the diversity of Eastern and Western cultures. With a distinctive voice, sometimes believed to be that of Michael Jackson's, Makki produced two albums before joining Awakening records, "Reminisce" in 1997 and "Salam" in 2003. "I Believe" is Makki's first album produced by Awakening Records which includes a diversified collection of inspiring songs of optimism and joy. The album is deeply spiritual and personal. 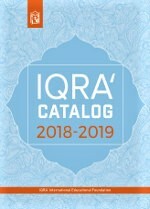 The topics are diverse ranging from belief in God and his final messenger, Prophet Muhammad – peace be upon him – to highlighting the negative effects of wars and longing for human unity. He also shares his desire to visit Makkah to perform Hajj. "I believe" also includes the hit track ‘Mabrouk’ – a wedding song and a song dedicated to all mothers around the world.